Take Less Debuts on Governors Island! 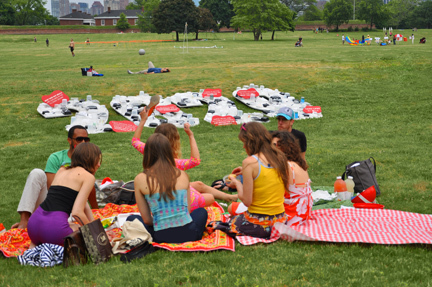 Take-Less, the third in MSLK’s trilogy of Eco-art installations, debuted on Governors Island on June 11-13. Like 2663 Urban Tumbleweeds and Watershed, we set out to raise awareness to the senseless over-consumption of plastics in our everyday life. We set our sights on take-out containers. We found it sad to think that the containers that the meal you had delivered to you (in 30 minutes or less) will be around for hundreds of years, especially when there are alternatives out there. That is what Take-Less was meant to accomplish. 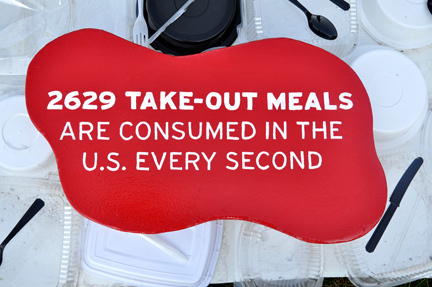 By using the statistic of 2,629 take-out meals consumed in the U.S. every second, we took the number and blew it up to a grand scale in order to raise awareness, using plastic containers to illustrate the point. 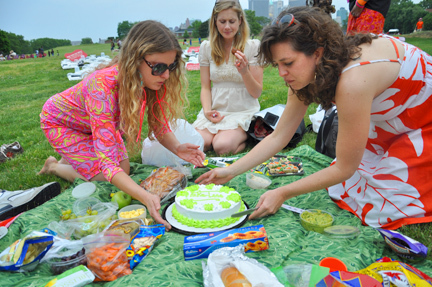 For the project’s debut, we held a potluck picnic where we encouraged everyone to bring food in reusable containers. 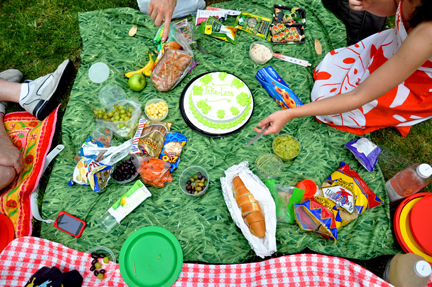 We provided reusable plates and utensils, as the Figment festival is a no trace event. We were able to greatly reduce the amount of trash. 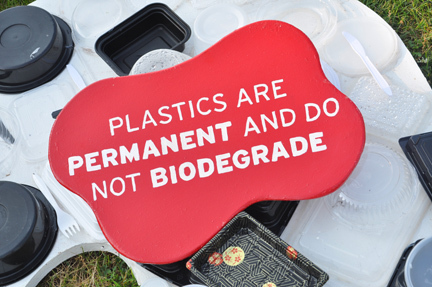 The issues concerning plastics are more real than ever, as we see the very source of plastic — oil — washing up on our shores, destroying our wetlands and wildlife, as well as ruining the livelihoods of the countless who depend on the waterways for fishing. Many thanks to all those who made it out to the island — and many more thanks to all those who helped with the project — from those who set up collection stations at their offices, to the volunteers who helped with the assembly. 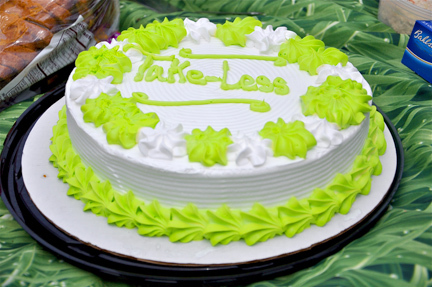 In case you missed seeing Take-Less in person, fear not. We’re working on two exciting venues in Brooklyn in the next few weeks for you to see it in a whole new way! Want To See More Content About Things We Love?